Familiar elements from the Caribbean are here — plantains, yuca, papas rellenas, thin beefsteak and lots of black beans and rice. Bistec de palomilla is steak pounded very thin, marinated in mojo sauce (orange and lemon juice, garlic, onion, sugar), then lightly breaded and well-fried. 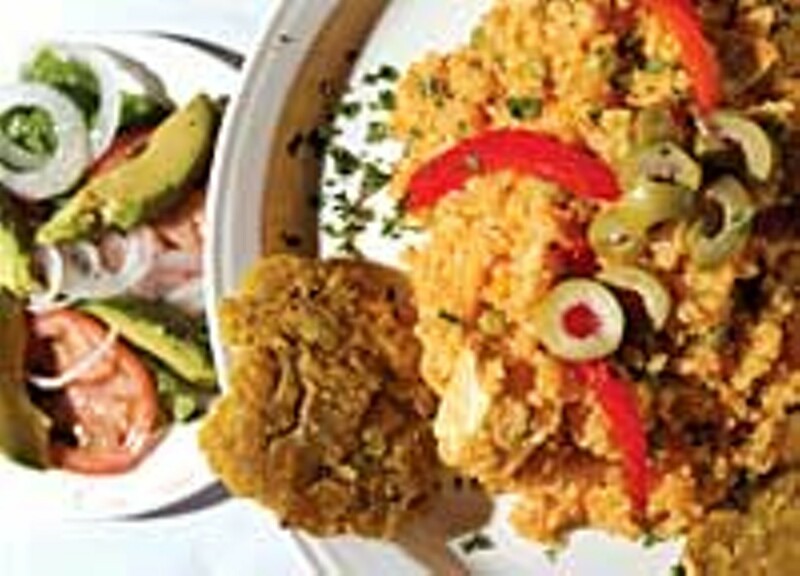 It’s served with fried onions on top and a side of plantains. 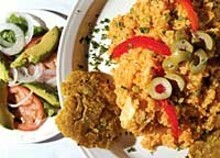 Fried and breaded pork are on the menu too, as are lobster and shrimp, arroz con pollo, and several paellas.